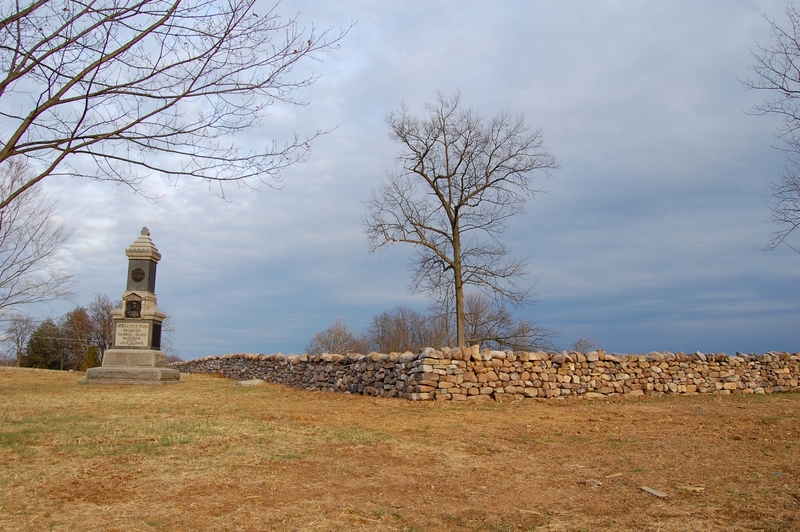 Before the snow hit Gettysburg, we stopped by North Cemetery Ridge (Ziegler’s Grove) to provide you with an update on the National Park Service’s restoration of the area. 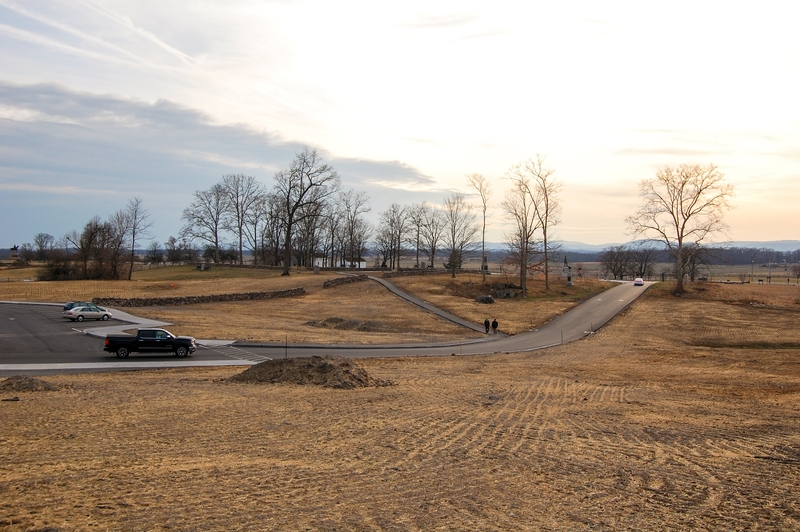 From what we can tell, the stone walls they’ve been constructing here are finished.This view was taken facing southwest at approximately 5:00 PM on Sunday, March 12, 2017. We’ll be looking at stone walls “A” (east-west) and “B” (north-south) on this map (excerpt). Note that the National Park Service indicates that there will be two gaps in wall “A” and one gap in wall “B.” Also note the yellow “Commemorative Era Sidewalk.”This map was created on October 26th, 2016, by the Resource Management Division of Gettysburg National Military Park. 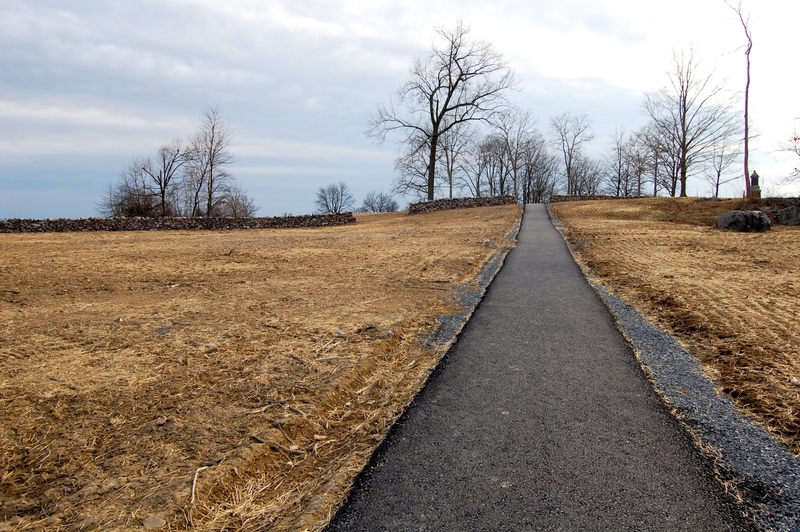 The park service calls this pathway the “Commemorative Era Sidewalk.”The top of the 126th NY Infantry monument can be seen in the right background. This view was taken facing southwest at approximately 5:00 PM on Sunday, March 12, 2017. That’s because when the War Department was in charge of the battlefield, there was a path here. You can see the Hancock Gate along the Taneytown Road in the right background.This view was taken facing northeast circa the 1890s. If the photographer in the previous photograph turned around, this is what they would have seen. 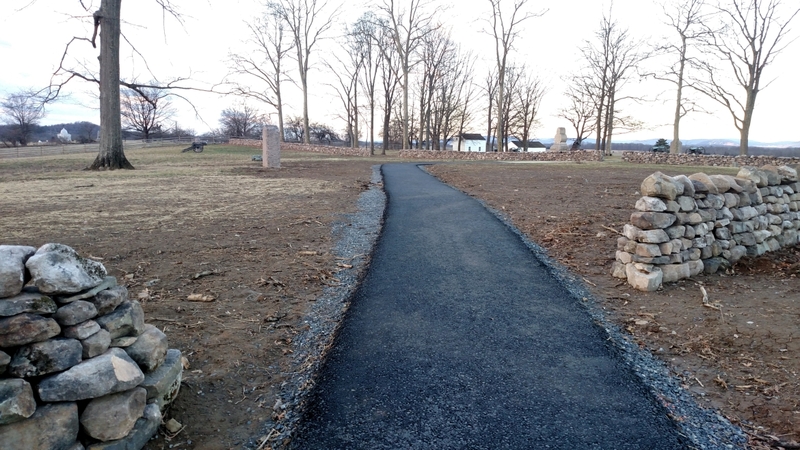 The pathway continued at a diagonal through Ziegler’s Grove towards the Brian/Bryan Farm (behind the white picket fence). 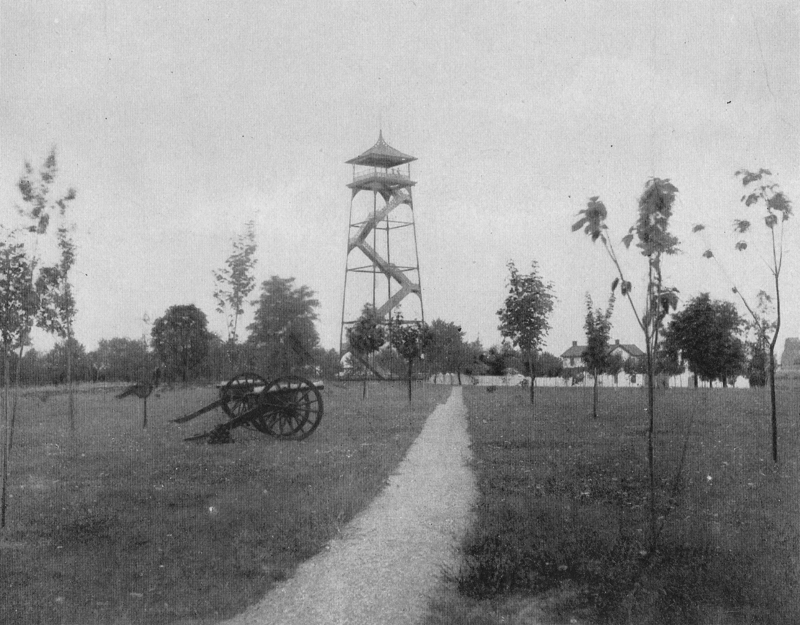 The Ziegler’s Grove observation tower was constructed in 1896. 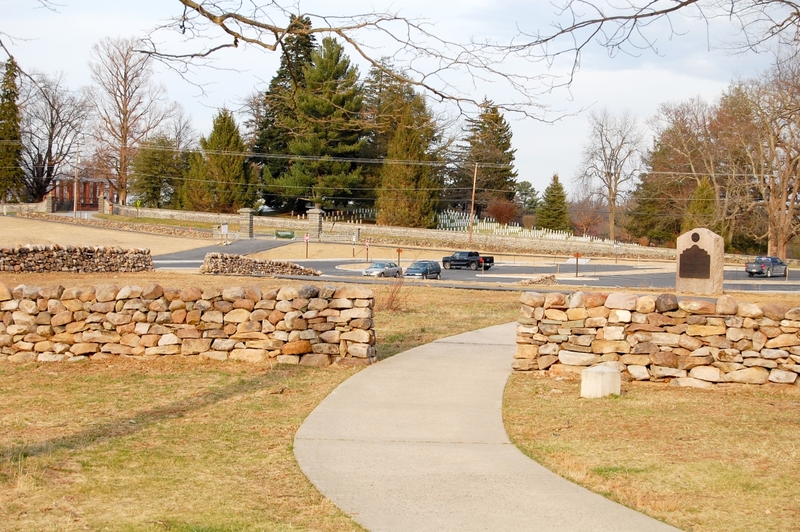 It’s from the commemorative era too.In this photograph, Ziegler’s Grove had recently been replanted. The cannon closest to the path mark the position occupied by John H. Butler’s Battery G, 2nd United States Artillery. 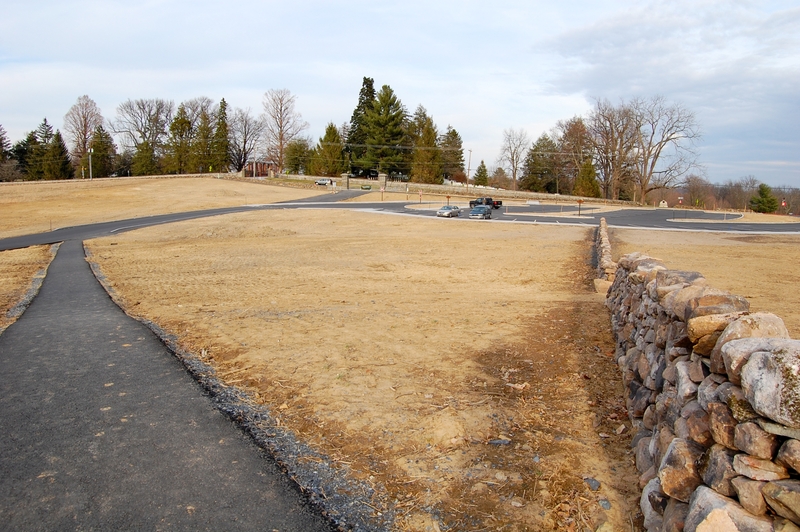 The monument on the far right of the photograph is to the 108th New York Infantry Regiment. 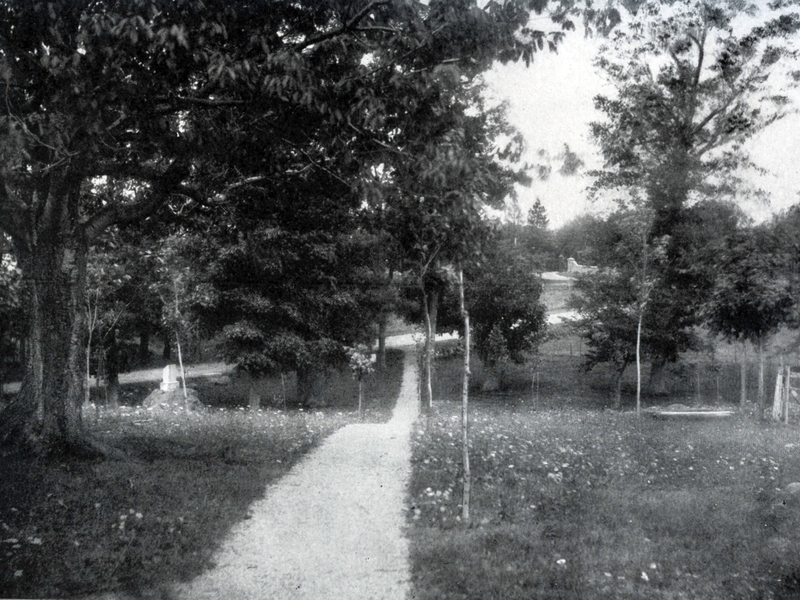 This view was taken facing southwest circa 1896. An approximate modern view of the previous photograph.This view was taken facing southeast at approximately 7:15 AM on Wednesday, March 8, 2017. A National Park Service employee reminded us recently that every plan evolves. Let’s take a look at what the National Park Service planned for this part of Cemetery Ridge in 2003.This map was made in 2003 and is courtesy of the National Park Service. 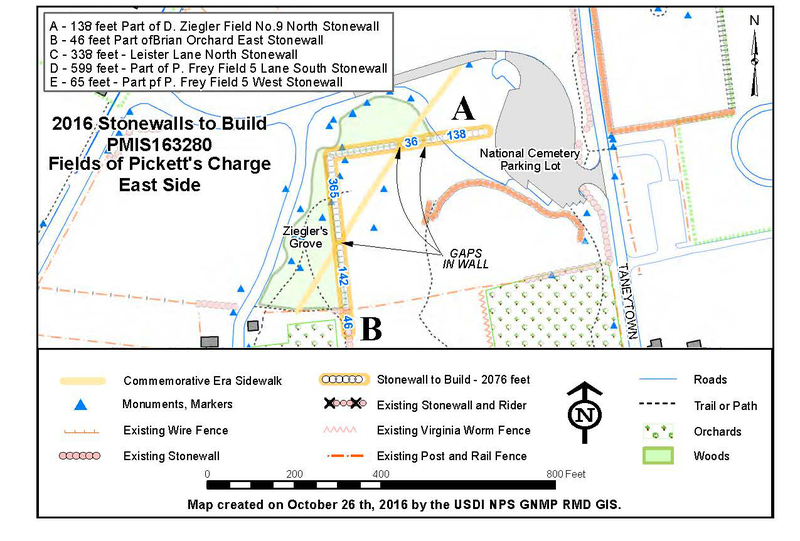 This 2003 plan indicates that the eastern portion of wall “A” was supposed to have a stone wall with a rider fence on top.This map was made in 2003 and is courtesy of the National Park Service. That didn’t happen. The War Department/Commemorative-Era/Not From 1863 style walls the park service has built here are too tall to put a rider fence over.This view was taken facing south at approximately 5:00 PM on Sunday, March 12, 2017. These walls are built with an A-shaped frame to create aesthetically pleasing but 1863-inaccurate walls. 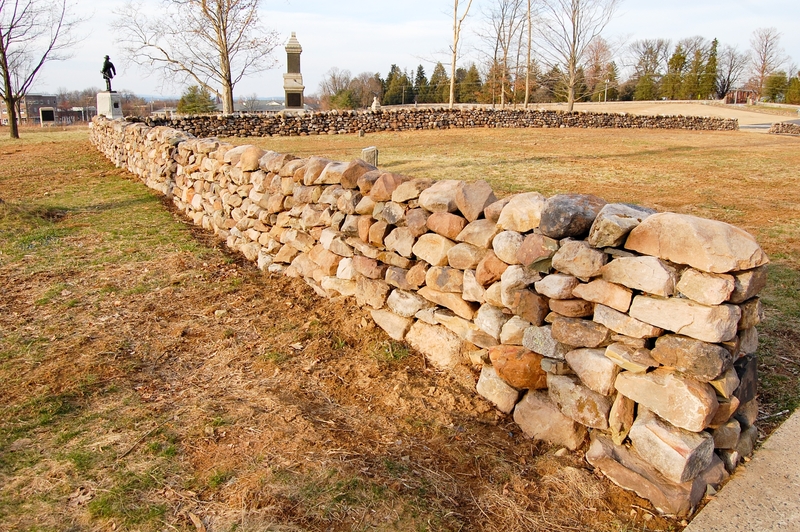 These are not the kind of walls soldiers would have seen during the Battle of Gettysburg. 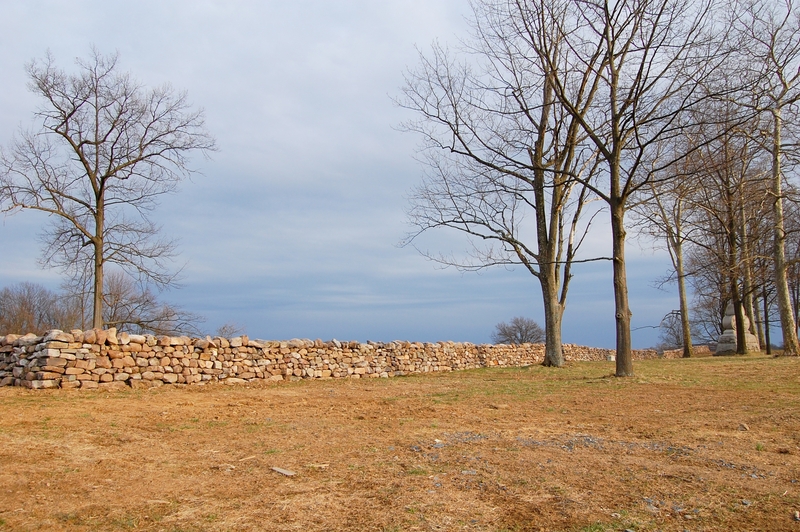 As the National Park Service put it, these walls are “the more formal wall design” from the War Department.This view was taken facing east at approximately 7:15 AM on Wednesday, March 8, 2017. This 2003 plan indicated that wall “B” would be an “intermittent” stone wall.This map was made in 2003 and is courtesy of the National Park Service. That didn’t happen either. 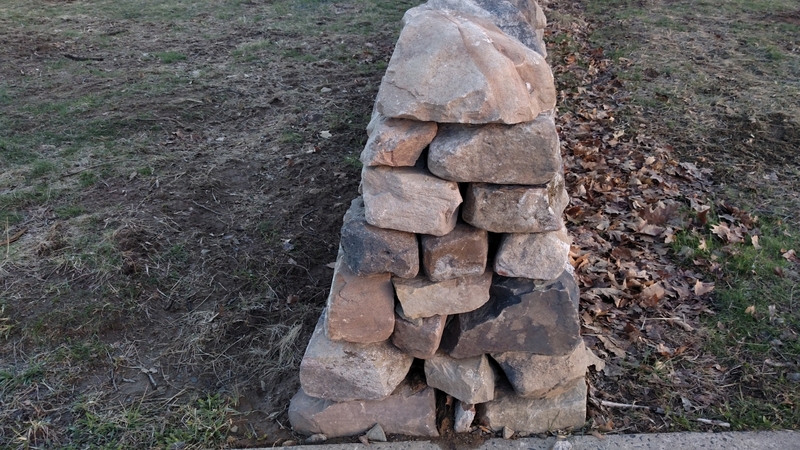 Instead, the wall was built in a non-battle style and contains only two gaps.This view was taken facing southeast at approximately 5:00 PM on Sunday, March 12, 2017. 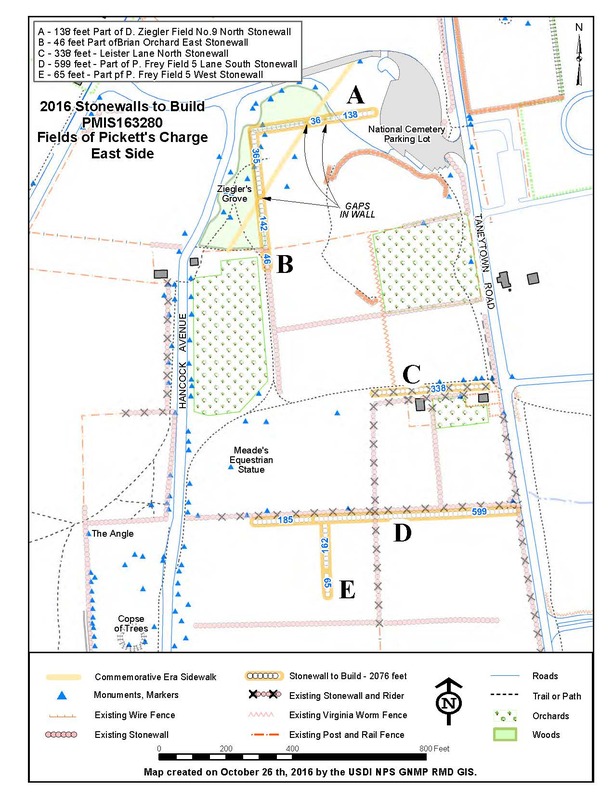 The commemorative pathway was to continue at a diagonal through Ziegler’s Grove to the picket fence of the Brian House.This map was made in 2003 and is courtesy of the National Park Service. That also didn’t happen, though it’s still a possibility – the mark has mentioned there are some addition paths they need to return to the area – which paths those are remains to be seen. It looks like the path was supposed to go straight ahead into the far gap in the wall (as indicated on the 2003 plan and the 2016 map provided by the park service), but instead it was curved to the right to meet up with the old sidewalk.This view was taken facing southeast at approximately 7:15 AM on Wednesday, March 8, 2017. The “Cyclorama Era” sidewalk.This view was taken facing northeast at approximately 5:00 PM on Sunday, March 12, 2017. 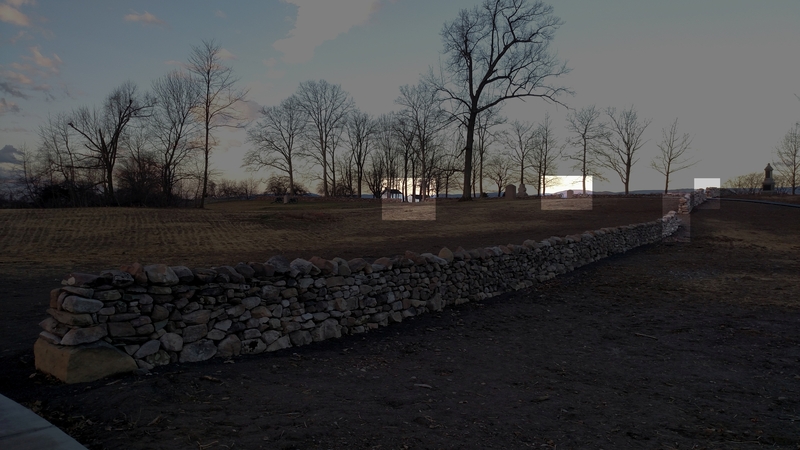 So there are really four total gaps in the walls constructed at Ziegler’s Grove by the National Park Service.This view was taken facing southwest at approximately 7:15 AM on Wednesday, March 8, 2017. 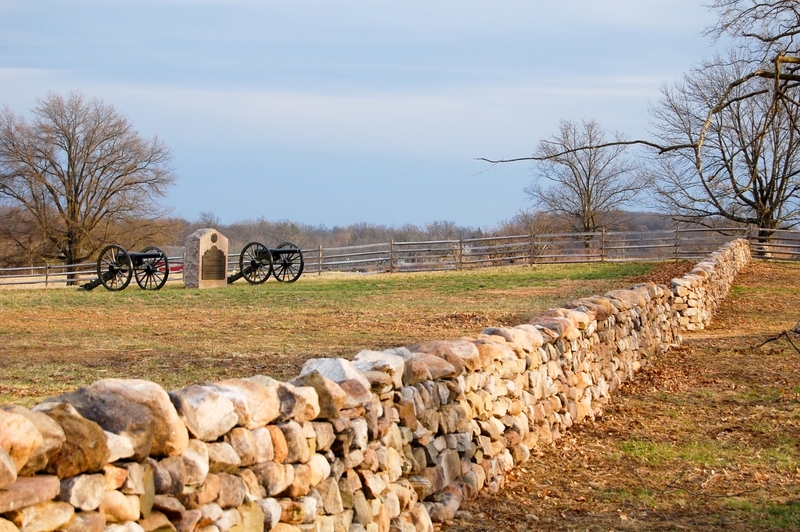 We’re now looking towards Cemetery Hill with wall “A” on the right. The gate to the Soldiers National Cemetery and the Hancock Avenue Gate / “The Gate to Nowhere” can be seen along the Taneytown Road.This view was taken facing northeast at approximately 5:00 PM on Sunday, March 12, 2017. Did we mention how well-built they are?Brigader General Alexander Hays’s statue can be seen on the left. The gate to the Soldiers National Cemetery is in the right background. This view was taken facing north at approximately 5:00 PM on Sunday, March 12, 2017. Ohhhh…The 126th NY is on the left. This view was taken facing east at approximately 5:00 PM on Sunday, March 12, 2017. Ahhhh…The 108th NY is on the right. This view was taken facing southeast at approximately 5:00 PM on Sunday, March 12, 2017. 5th United States Battery F: Martin’s Battery. 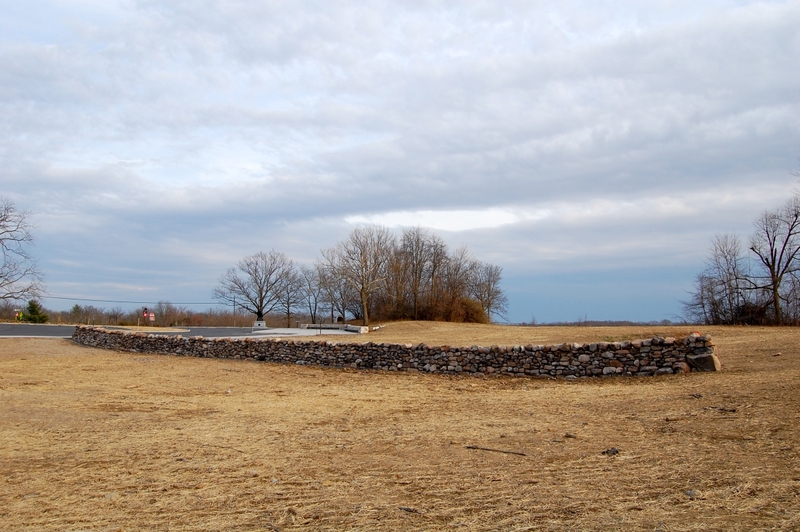 To see our coverage of the other stone walls being built on Cemetery Ridge, click here if you missed it.This view was taken facing west at approximately 5:00 PM on Sunday, March 12, 2017.